Happy New Year, Beat The Osmosis Skin Care Price Increase Now! Take Advantage now. The price for Osmosis Skin Care will be increasing by 20% Osmosis uses such state of the art ingredients and had to increase the prices so they can continue bringing the best possible products to you. If you compare their products to many that cost 2 or 3 times as much, the price is considered low. 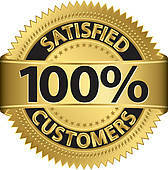 Osmosis has many satisfied customers that feel Osmosis turned back the clock for them. Anti-aging, pigmentation, acne, rosacea and so many other skin concerns are helped by Osmosis Skin Care. Sold only by professionals so you are getting excellent products by a licensed Esthetician or Physician that specializes in the Osmosis unique products. Please go to my website http://www.karinherzog-jmilan.com Register if you are new or Log in to your account. You want to become a JoElla Milan Preferred Customer so you may take advantage of our special pricing that is not offered to the public. Many customers love the Osmosis Harmonized Water. They consistently sell and my customers depend on them. The are harmonized energy water. All natural , no ingredients, holistic. Daily I receive emails from customers telling how much the waters have improved their life. Some emails are very touching. It just re-enforces to me that they do work. 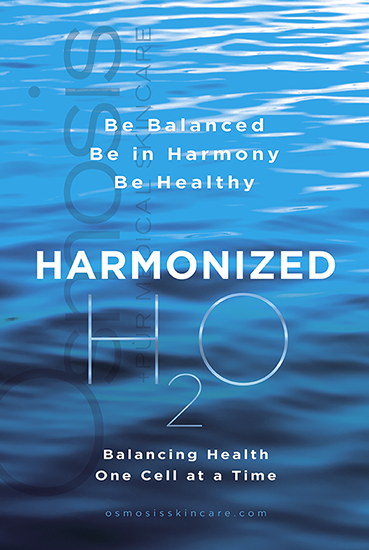 Harmonized Water contains several revolutionary breakthroughs to achieve its success. It helps to balance tissue disharmonies by delivering medicinal radio frequencies to the cells in the form of water. The frequencies we use have been determined by a proprietary math formula (huge breakthrough!) that allows us to reverse engineer most substances to determine what their actual vibrational rate is. We then imprint these frequencies on water molecules through yet another remarkable leap in technology. What we are doing has never before been accomplished. We can impact the cell with a language that is better recognized and more specific than the frequencies released by many drugs. Drinking Harmonized Water results in a modification to the “toxic filter” which allows healthy cellular activity to return. It provides harmony to a disorganized section of anatomy but does not change cells operating in harmony already. It can maximize healthy activity and reduce disharmonic vibrations in a variety of physiologic abnormalities in the body. It is for this reason that there are rarely, if any, side effects. Yes there is help on the way, Osmosis Skin Care. Black skin is sensitive and needs to be treated with products that are not harsh on the skin. Forget bleaching creams or strong doses or Hydroquoinne. These may cause more problems for your skin then help it. I have heard of black skin becoming darker with the use of these products. 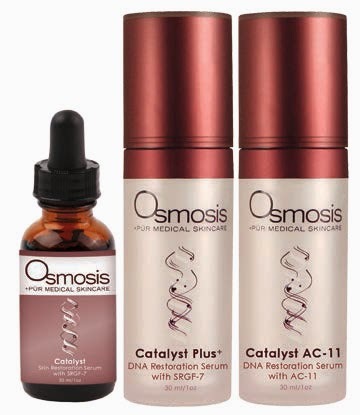 Dr. Johnson of Osmosis Skin Care feels that Catalyst is a very important product to use on pigmentation. Catalyst uses Zinc Finger Technology™ (ZFT) to repair DNA damage and assist in the production of proteins and antioxidants within the cell. SRGF-7™ is a patented combination of amino acids and key co-factors that improve wound healing, lighten pigmentation, reduce visible capillaries, and stimulate collagen and elastin production through a revolutionary process. Other products that will benefit the pigmented areas are the Restore Internal, to heal the skin on the inside. Restore is Immune Repair. Also one of the Osmosis A Serums or one of their powder actives will also help. You may notice some results in the beginning, but remember melasma or pigmentation may also take months before you see a change. Also, it is imperative to wear sunscreen daily. You cannot go without it. Osmosis has a new sunscreen called SHADE which will benefit the skin. The beautiful woman in the above photo had excellent results with Osmosis Skin Care as you can see. Osmosis Skin Care Restore Topical has been showing excellent results in some cases. I know personally I have seen a nice difference. I get pigmentation on my left cheek area from driving. It was getting pretty bad. When I started using the Restore Topical, it greatly improved. I have always gotten compliments on my skin. For a time I did not. Now I receive compliments again after using the Restore Topical. As an Esthetician, I get busy and sometimes so tired at the end of the day, I do not do everything to my own skin as I should. I could tell the difference when I started slacking on my Restore Topical. For anyone that has pigmentation or Melasma, it is not something that is going to go away overnight . If you stay at it with the right products and wear sunscreen daily, you will see a difference. The pigmentation will lightly start exfoliating off in different areas. I noticed my skin near my mouth area cleared off first. Then the pigmented area slowly started moving back towards my ear. Most of my cheek is now clear of pigmentation. I am very aware of protecting my face. That sun is ruthless and can get to you even if you are under shade. It is not just the direct sun, it is the heat also. If pigment easily, you must think about protecting your skin the minute you walk outside. For even better results, try the Restore Internal also. It treats you from the outside in. Osmosis Skin Care has come out with 2 new products for pigmentation. Restore Internal and Restore Topical. Dr. Ben Johnson just recently created these new products for that stubborn problem, pigmentation. He suggests using both products for the best results. Restore Internal is Sublingual drops to correct inflammation and damage in every organ and cell in the body. It reduces the impact of most viral infections, controls yeast, fungus, and bacteria, and corrects abnormal immune activity and heals protein oxidation resulting in a reduced rate of aging and a return to complete wellness. When your immune system is strong, it is capable of correcting virtually every disease and imbalance the body may face. Restore removes toxins, reduces inflammation and repairs protein damage thus promoting the healing of every tissue, including the skin. Improve your body’s immune function and repair process internally and topically to dramatically slow every aspect of aging while helping to prevent the progression of disease and inflammation. Restore Topical works to heal the damaged skin cells that signal the melanocyte to over-produce pigmentation. Once the cell is healed, it allows the melanocyte to produce normal amounts of protective melanin. The most remarkable change in the skin results with the permanent removal of most hyperpigmentation. Osmosis Skin Care has just updated their Enlighten for pigmentation. Dr. Johnson the creator of Osmosis wants to bring his clients the very best products possible. Osmosis Skin Care took the Retinaldehyde out of Enlighten. Now it dramatically lightens the skin due to its many liposome-coated tyrosinase inhibitors which gets down into the basal layer which is more effective. Now it not only lightens the pigmentation it calms inflammation, remodels scarring from photodamage, restores dermal thickness, hydrates the skin and protects against UV rays. For best results, use in conjunction with Osmosis Catalyst. Together you are using 2 products that are going to make a difference in your skin. It is important when you have pigmentation to always wear sunscreen. You never know when those rays are going to get you. Your pigmentation can come right back if you do not protect your skin. Osmosis Skin Care has some wonderful powders that you mix each time you use them, so they are always fresh. Vitamin C will oxidize when it is in a serum form. When you use the Osmosis Vitamin C powder Blend with Clear, it will be fresh each time you use it. I personally just mix a little in the palm of my hand and apply it. Try using the Vitamin C daily on the areas of your face that needs a little TLC. It may be for discoloration or anti-aging. Use it before using your other products so it penetrates into the skin. Osmosis just increased the amount of the powder, so it will last you for many months to come. It comes in a tightly closed jar. It will go a long ways. It is important to use your Osmosis Skin Care Products correctly. I receive so many emails daily from people that have purchased the products and do not have a clue how to use them. Even other estheticians. They need guidance on how to use the products on their clients. I am happy to help. If you purchase the Osmosis products and do not use the products as they should be, or if you do not use them on a daily basis, you will not see the improvements in your skin. People that use the products correctly love what Osmosis has done for the them. It transforms and remodels the skin and is a big step in anti-aging . For those with acne and rosacea, the products do wonders and will bring the results you have been looking for.